At my recent visit back to the UK, I experienced a rather fun art installation by Superflex, a group of Danish artists (founded in 1993) who is best known for their playfully subversive films and art installations. At Tate Modern, Superflex installed an orange line of swings woven through the Turbine Hall. Each swing has been designed with three people on the same seat; specifying that swinging with two other people has greater potential than swinging alone, thus the work is called One Two Three Swing! Swinging in group of three’s, creates a collective energy that resists gravity and challenges the laws of nature, as claimed by Superflex. By taking part in this collective installation, you are bound to enjoy the company of many other visitors of all ages! This brings people casually together in a relaxed ambiance to have a good laugh and excitement! So, if you are heading to the UK sometime in the next few months, do drop by the Tate Modern, London. This installation has extended its exhibit period to 2 October 2018. So try experience One Two Three Swing! first-hand! 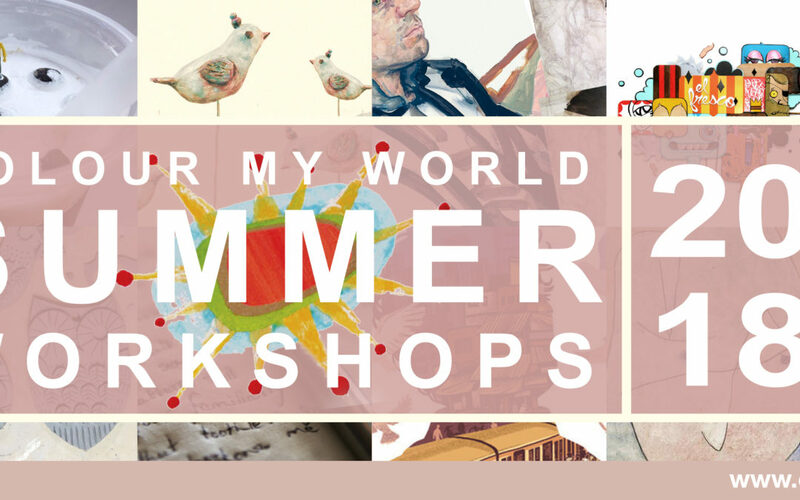 We are offering something totally new this summer at our visual and performing arts workshops. For starters, we are introducing ‘Play in Two Days’. A Play in Two Days is the name of our new Drama Festivals where the participants will come in and plan, write, produce, and co-direct a small performance over two days with the Performing Arts practitioners. It’s something that’s really fast-paced and fun for all. In addition to the new Drama Festivals we will also roll out Visual Arts Festivals where the participants will work with two practicing artists-educators on two very different media and conceptualization direction. Of course we are also running our every popular ActOut! and Specialised Art workshops as well as new Music & Lyrics workshops!